Removes formatting from clipboard contents. Is there a better alternative to Plain Clip? Is Plain Clip really the best app in System category? 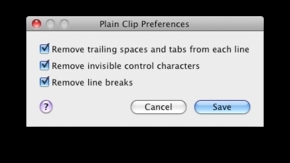 Will Plain Clip work good on macOS 10.13.4? Plain Clip removes formatting from copied text. Additionally, it can be configured to perform one or more additional actions such as removal of trailing whitespace, conversion to ASCII etc. 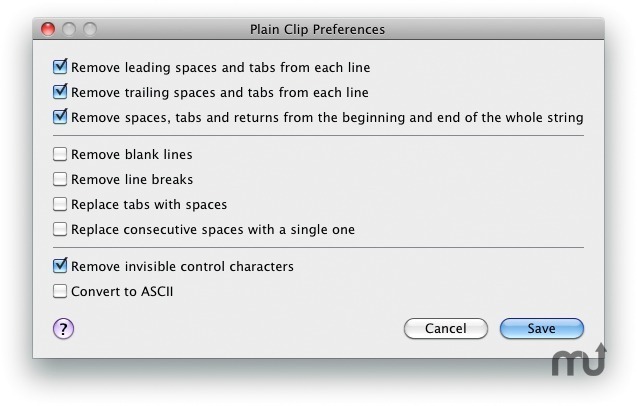 With the exception of the preferences window, Plain Clip does not have a user interface, which makes it ideal for using it from hotkey/launcher applications such as Spark or LaunchBar or even typing utilities such as TypeIt4Me and TextExpander.